Our trip this summer to Paris was all about food (really, aren’t all of our trips about food) but since I was pregnant, I made a special effort to try all the desserts and sweets I could. So, on my bucket list was an ice cream shop I had heard about called Pozzetto. The most talked about and maybe most famous ice cream in Paris is Berthillon, but I I’ve already had their ice cream and needed to try something new. Plus, Berthillon has delicious ice cream but it’s sold everywhere in Paris. 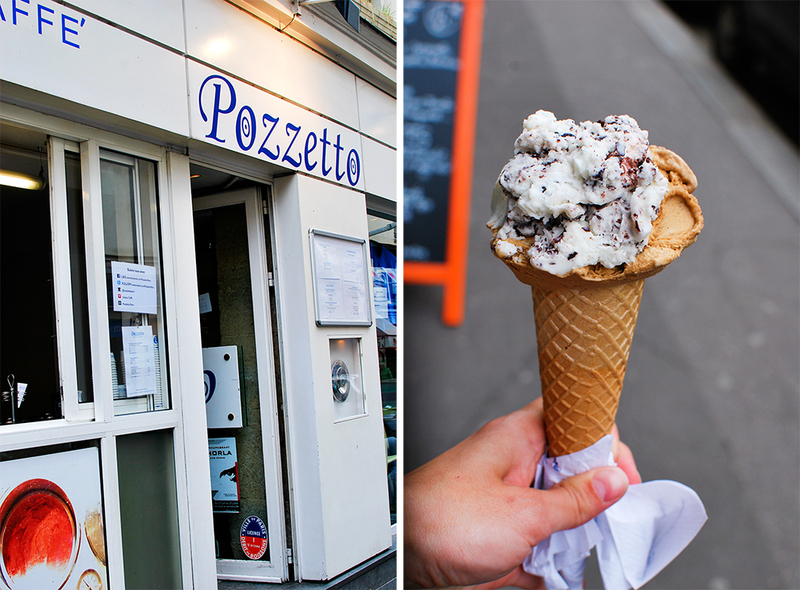 Pozzetto’s has just two locations in Paris and one of them was located very close to us in the Marais. 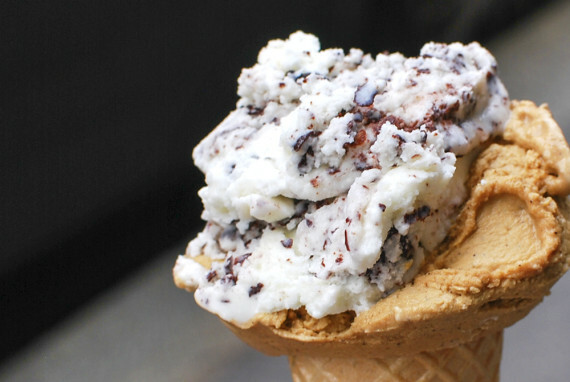 I went there twice this summer and still dream about their gelato. The first time we went, we stood in line and when we got to the window I ordered three flavors of ice cream in a huge cone. Please remember I was pregnant, it was warm that day and we had been walking for hours, and on our way back to the apartment. After ordering, the gentleman at the window mentioned something about two spoons and I looked at Dusty and said something like, “oh no, that’s just my order”. And I ate it all! Something I found out that first time we went is that they don’t charge you by the scoop but rather by the cone or cup size. They go ahead and fill it up with as many flavors as you want! So, I’m not quite sure what their cone sizes are but I must have ordered a cone big enough that they thought I was sharing. I’ve only tried three flavors, Cafe’ Costadoro, Stracciatella and a third I can’t remember, but my favorite was the coffee flavored gelato. I don’t drink coffee but this ice cream was so delicious. From what I’ve heard, all of Pozzetto’s gelatos and sorbets are prepared daily, focusing on top quality milk and the best seasonal ingredients. There are only 12 flavors at a time, including seasonal classics and some creative parfums du mois.